Of course like many others in this field, my interest was born out of a couple events that had happened to me over the years that I could only explain as being paranormal. These events lead me to begin actively investigating the paranormal in 1996. 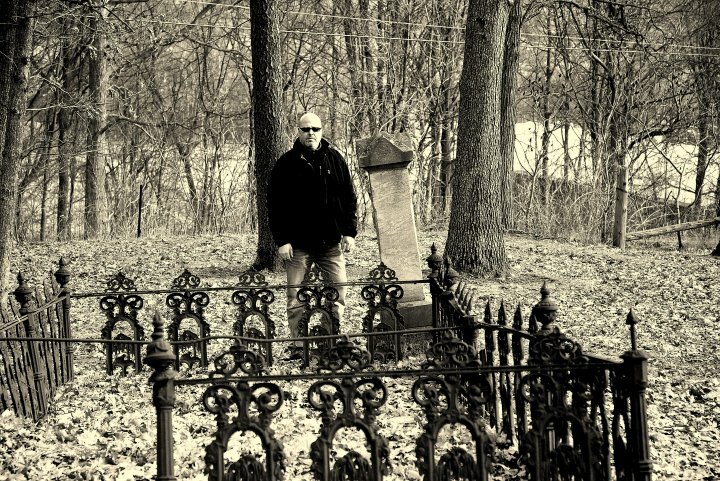 It wasn’t until 2005 that I decided to expand my passion for this field by forming the investigation team of SOPS Southern Ontario Paranormal Society. I have dabbled in pretty much every aspect that comes with the field – history, research, investigation as well as the media side. Since 2006, I have been co-producing two internet radio shows that deal with all aspects of the paranormal; Full Moon Radio and Darker Side of the Moon Radio (www.darkersideradio.com). This has lead to the creation of Nocturnal Frequency Radio in August of 2008. I’m now joined by co-host Alex Rondini, and coming very close to celebrating the show’s 10th year on the air!! I have had the pleasure of interacting with some of the most notable people in the paranormal community such as Keith Age, Patrick Burns and Shannon Silvia among others. This is not all. SOPS will also have a production of an independent series of episodes that will showcase different paranormal investigations showcased here on SOPS TV. I have just complete our documentary entitled “CHASING SHADOWS“, and have already started on the next! This stems from my first background of film and television. I graduated from Trebas Inst. (Toronto) in 1996 with a full Television and Film degree. There I experienced several different aspects of the field, from production, to studio work at TV Ontario. I also worked for Roger’s Cable’s Reel to Real during the 1996 Toronto Film Festival, setting up for interviews, lighting and some camera work. I have long since wanted to combine both the media with the paranormal, hence the series mentioned above. Since 1996, I have had the pleasure of investigating some very active locations in and around the Southern Ontario area as well as many private residences. Places all over Ontario, such as The Hermitage, Customs House, German Mill, The Doll House (Fort Erie), Grand Theatre (London) and several other well known places. Also several in the US as well, Waverly Hills Sanatrium, Rolling Hills Asylum, The Shanley Hotel and Iron Island Museum. The SOPS Team is up for yet another very busy year here in 2010, so expect more soon. My ultimate goal is to see a common thread here in Canada, so all of us here in the paranormal community can share, learn and advance as a whole to better understand the paranormal and all it’s aspects. The best way to achieve this is through networking with one another. Great blog Steve! Keep it up!